Violin is one of the hardest instruments to play, however, creating a violin from scratch, well that is considered to be a fine art in itself. Invented in the early 16th century in Italy, this instrument has been an item of development and perfection ever since. The greatest violin maker of all times is Antonio Stradivari, an Italian luthier whose instruments are among the most appreciated and expensive in the world. 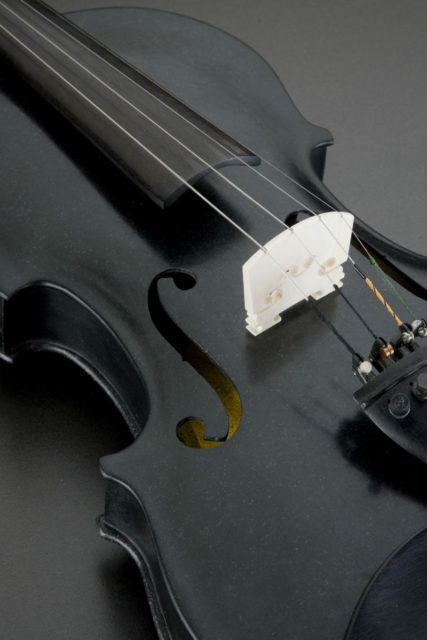 The violin is traditionally made from wood, but in 1992, the Swedish artist Lars Widenfalk created a real, playable violin out of diabase, a type of stone. The stone violin was named ‘Blackbird’ after the common blackbird. The instrument was crafted according to the drawings of Antonio Stradivari, under the family’s design name Stradivarius. However, Widenfalk had to modify the original design to make the violin functional. The artist got the idea of constructing the violin while working on a decoration made of diabase in Oslo, Norway. While giving form to the stone with his hammer and chisel, he noticed that it produced a strong and beautiful sound every time it was hit. In 1990, he acquired a smaller piece of diabase, with the highest levels of blackness and quality. Lars realized that the size was ideal for a violin, and so he began the crafting of the Blackbird. The rock, which was later transformed into the magnificent instrument, came from the tombstone of Lars’s grandfather. When the family grave was renovated, the piece of stone was discarded, and the artist reclaimed it as he wanted to learn if the stone really could be used for the creation of musical instruments. 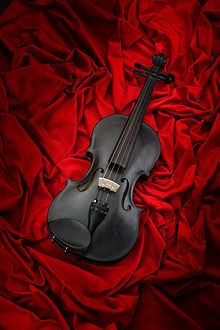 However, the piece that came from his grandfather’s tombstone was not big enough for the entire violin, so Widenfalk had to acquire another stone for the back of the violin. The newly acquired piece was about 1.9 billion years old and came from a Swedish province in the south-central part of the country. The piece that came from the tombstone is younger than the other one, being 1.6 billion years old. Even though it is made out of stone, the Blackbird weighs in at only 4.4 pounds, with the sound box of the instrument being only 0.09 inches thick. The walls of the sound box were made in one piece. The artist sawed the stone plate to form the external silhouette of the instrument and removed the insides with a waterjet, then machining it with hand tools. He managed to create a rib only a couple of millimeters thick and covered the interior of the violin with gold. The fingerboard of the Blackbird is made of ebony, while the bonding of the sound box was done with two-component adhesive. Two steel pins secure the neck of the violin, placed on the part where it joins the body. Mammoth ivory from Siberia was used to make the instrument’s bridge, and it’s yellow color symbolizes the blackbird’s beak. 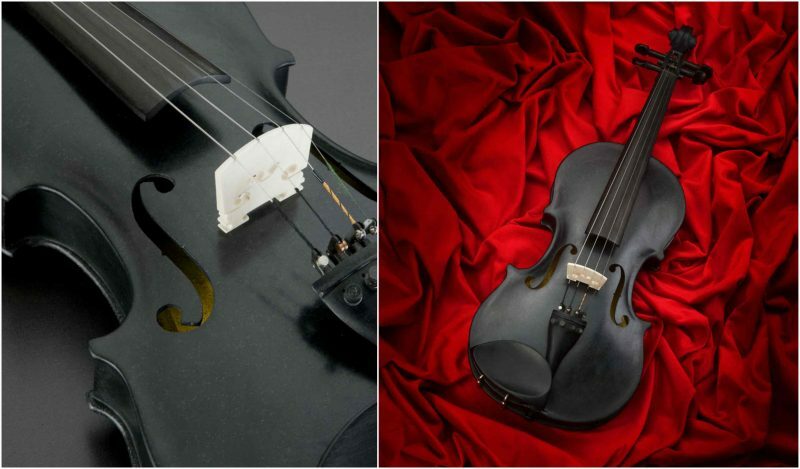 The creation of the Blackbird violin was finished in 1992, and the instrument had it’s first public performance in the same year, at the Seville Expo in Spain. Also in that year, the Pope John Paul II gave his blessings to the violin, and since then the Blackbird has traveled all over the world, playing its beautiful sounds in Dubai, Monza, Milan, Prague, Washington and many other places. The Swedish composer Sven-David Sandström honored the Blackbird by creating music specifically composed for this particular instrument. While the Blackbird was the first violin to be made out of stone, it is not the only one. Jan Rericha, a Czech sculptor, has created several, but his violins are made from marble, a stone much easier to process than diabase. Rericha’s instruments are also heavier than the Blackbird, weighing between 8 and 14 pounds, compared to the 4.4 pounds that the black stone violin weighs.